of 180 employees. Mayor Eric Garcetti selected Ms. Perry to run EWDD shortly after his election in July 2013. EWDD provides a broad range of programs offering assistance to business, job seekers and disconnected youth. All of EWDD’s programs are designed to help build local business and strengthen the workforce. The department, through its contractors, runs 16 WorkSource Centers and 14 YouthSource Centers in areas of high unemployment. EWDD also administers nine BusinessSource Centers offering entrepreneurs informational workshops, access to capital and help with loan packages. Real estate experts on staff help position city-owned properties for economy-boosting development. Ms. Perry was a natural pick for the job. 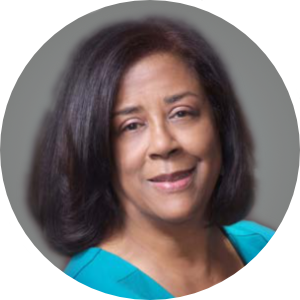 She shares Mayor Garcetti’s passion and track record of revitalizing neglected neighborhoods. As the former 9th District City Council member representing Downtown, Little Tokyo, and South Los Angeles, Ms. Perry led catalytic projects such as LA Live, Our Lady of Angeles Cathedral and the new Police Administrative Building. to shelter the homeless and people suffering from mental illness and substance abuse. Ms. Perry earned a bachelor’s degree in journalism and a master’s degree in public administration from the University of Southern California.